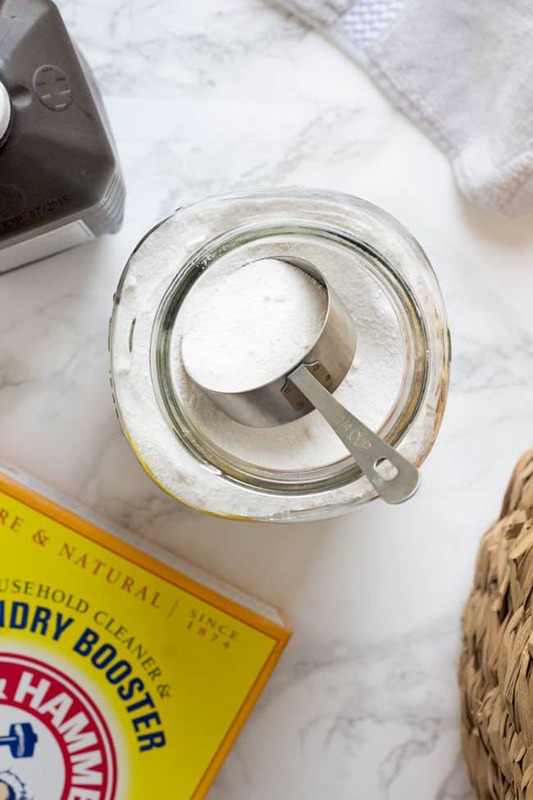 DIY Laundry Booster is a great way to give your regular eco-friendly detergent a helping hand. Some days, especially when you have young kids, you get a load of laundry that’s just a little bit dirtier than normal. 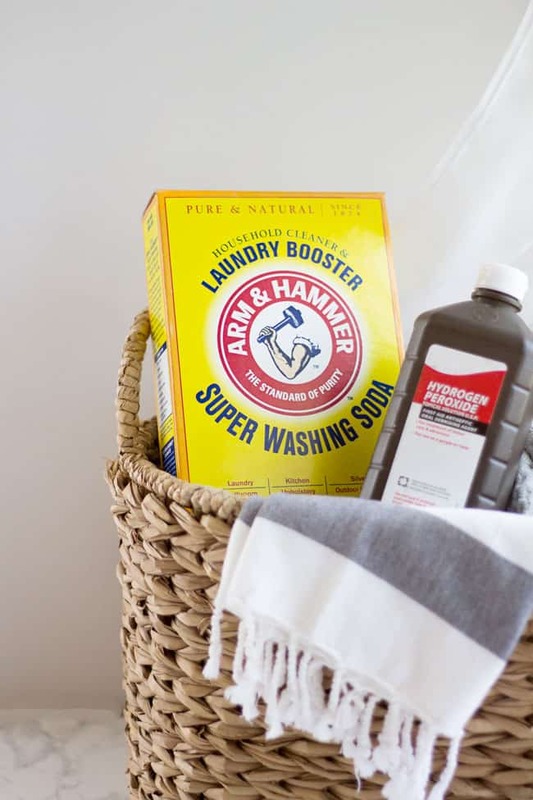 With only two simple, powerful ingredients, this laundry booster will be able to give your normal laundry routine that extra help it needs to keep your clothes naturally clean. 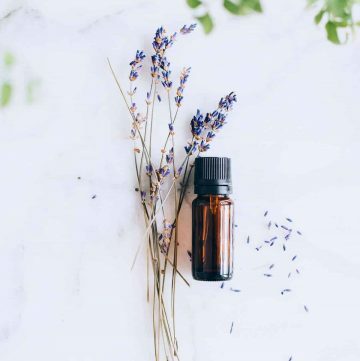 When my children were younger, I used a store-bought laundry detergent booster as a pre-wash soak for our cloth nappies, which helped both deodorize them and take out stains. This recipe is a much cheaper way to make a laundry detergent booster product at home. First, add the ARM & HAMMER™ Super Washing Soda to a bowl. Super Washing Soda is a great laundry aid. It softens water, breaks down grease and minimizes odor. No wonder it has been used in laundry and cleaning since 1874! Often called laundry soda or soda crystals, washing soda is made from sodium carbonate. Sodium carbonate has a slightly different structure than baking soda, which is sodium bicarbonate. Sodium carbonate has a pH of approximately 12.0 making it highly alkaline. 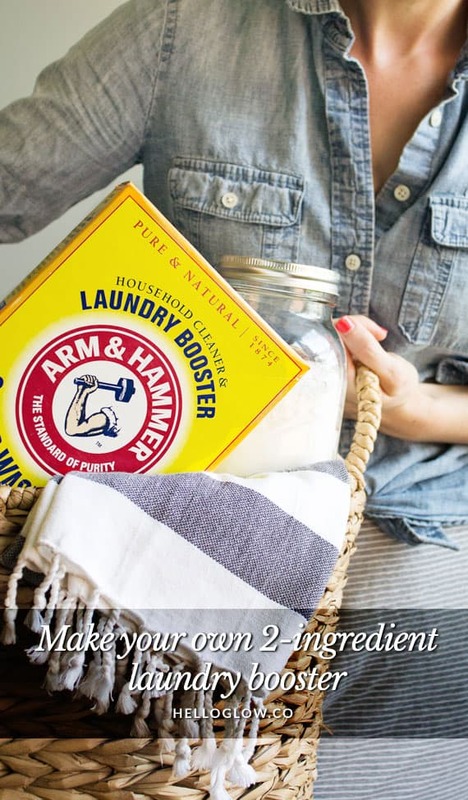 It is the alkalinity of ARM & HAMMER™ Super Washing Soda that helps to make your regular laundry detergent more effective, particularly in hard water areas. 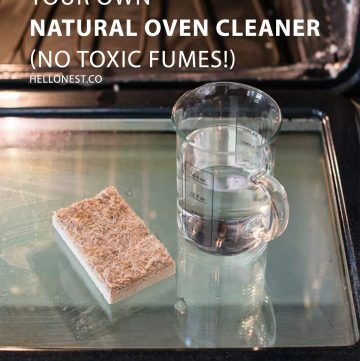 Next, you’ll need to add the hydrogen peroxide to the bowl with the washing soda. 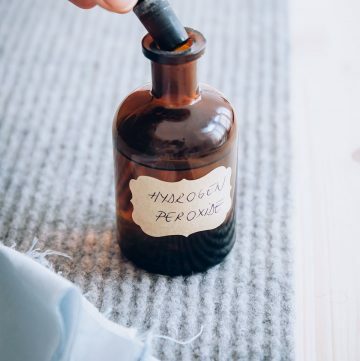 Hydrogen peroxide is a great stain remover and sanitizer. It can also be used neat (3% concentration) on stains such as blood and it’s a great alternative to bleach for brightening dull whites. Hydrogen peroxide is an oxygen-based bleach or oxidizer that can be used in place of chlorine-based bleach. It breaks down into oxygen and water making it more environmentally friendly than regular chlorine-based bleach. Stir to combine. That’s it! 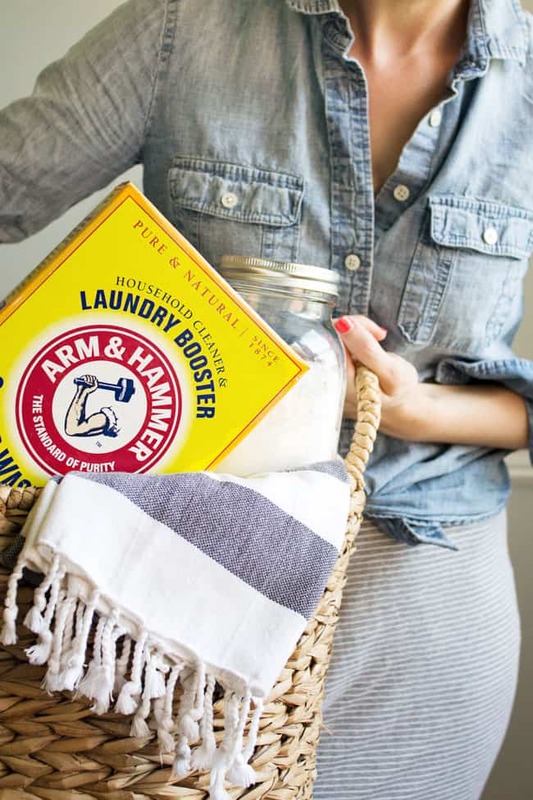 Your DIY Laundry Booster is ready to use. 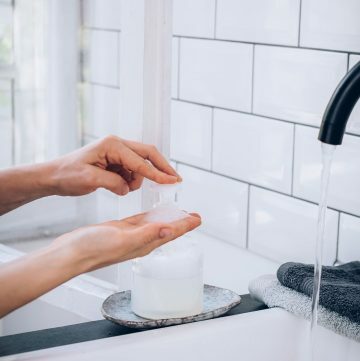 Add 1/2 cup to your liquid laundry detergent or the pre-wash compartment in your regular wash or add it to a bowl of warm water to pre-soak your clothes. 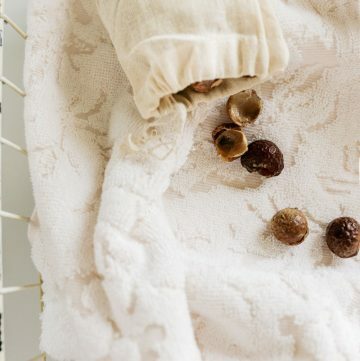 Harness the natural cleaning powers of this 2 ingredient laundry booster! Add the washing soda to a large bowl. Add the hydrogen peroxide to the washing soda and mix thoroughly. Store your DIY Laundry Booster in an open jar. I wash tough stains out immediately so that they do not have a chance to soak through and ruin clothes. I previously used shout to pre-treat stains or a tide to go pen if I was out. Lately I have been on this push to switch to less harsh and cruelty free products. I started with make-up and beauty products, but would like to switch my home goods and cleaning now. I wonder if you could add essential oils to this for a scent if you like? It really depends on the stain! Sometimes, pouring boiling hot water onto a stain (on fabric that can withstand the heat) really does the trick! It opens up the fabric fibers and allows the stain to come to the surface. I saved a pair of white trouser shorts from a beet juice stain with this method. This next stain dilemma happens too often for me; oil stains! Whether it’s olive oil or mayonnaise, anything oil based can be tenacious! I pour a little liquid dish soap onto the stain and let it sit for a few minutes before I throw it into the washer. Dish soap is used for breaking through tough grease, so it works really well when removing anything oily! If I have a difficult laundry problem I call my dad and ask for advise. He owns a dry cleaners and laundry mats so he has a lot of tricks up his sleeve. I would say that making a paste out of baking soda and vinegar and placing it over a tough stain has been something that’s worked well for me. I wash out the stain right away and pretreat it to get stubborn stains out. I always pretreat stains to help. I pretreat stains or sometimes I’ll hand wash tough items. I use a heavy duty stain remover and pre soak the stain before putting in the washer. Really helps get the stains out! I have to check my son’s clothes for stains or dirt before I wash them to see if they need pretreated or soaked. I always pretreat stains clothes before I wash them in the hope that the stain will be removed. I soak them and treat them depending on the stain! Just today I am trying baking soda and vinegar to try to help my towels smell fresher, but maybe this would work better? so i recently tried this recipe and i’ve done the liquid Laundry Detergent. i noticed while making this it heats up while mixing, is that a normal chemical reaction to the washing soda?